Two-pin compact fluorescent bulbs plug into fixtures specifically made for fluorescent bulbs. This can increase the initial cost of these types of installations, since additional equipment must be installed, but over time will still save in energy and bulb replacement costs. 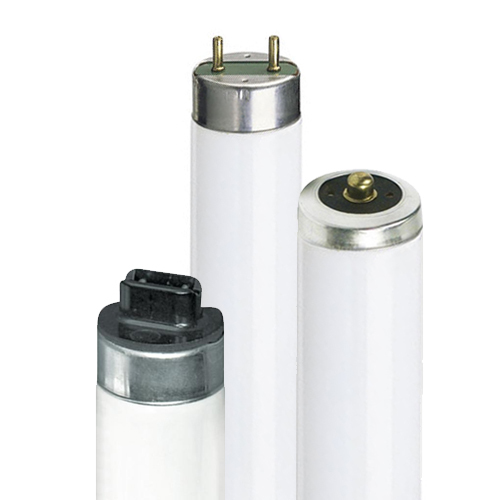 They come in a variety of forms such as 2-pin single tube, 2-pin double tube, and 2-pin triple tube. The colors for multi-pin CFLs are usually shown in reference to their color temperature (K). The numbers range from 2700 to 8000, where 2700 is a warm white, 4100 is a cool white, 5000 is like sunlight, and 8000 is a sky white. They also come in a variety of wattages usually ranging between seven watts to 65 watts. These bulbs are also designed to fit into lamps, task lights, recessed ceiling lights, accent lights, and spotlights, specifically designed for fluorescent bulbs (where the ballast is integrated within the fixture).